21 Plus Telecom - Why Panasonic? 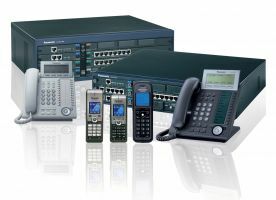 Panasonic are the UK market leader in supplying telephone systems into the SME market sector, with a 30% market share, more than any other single manufacturer. With its ease of use and renowned reliability Panasonic is ideal for this end of the market. Small to medium business cannot afford to waste time ensuring they can use the technology they have purchased. They need to communicate with their customers and suppliers. Panasonic believes that businesses want to be able to utilise the latest technologies, but that these technologies need to be deliverable, cost effective and in a user friendly manner. Secondly, Panasonic believes that their existing customers which benefit from the latest technologies with the minimum of disruption to their current organisations and thus all the key developments have embraced backward compatibility to the existing installed base. Thirdly, Panasonic believes that whilst companies wish to embrace the latest technology, they only wish to do this if this can deliver tangible benefits to that enterprise.